The Area World Championship 2018 Fall Season broadcasts start today, featuring the very first Arena tournaments of Battle for Azeroth, and Blizzard have poked IKedit, of Extinction and his Class Series machinima fame, to drum up a little hype video for the new season! Featuring live highlights from previous tournaments, spruced up with IKedit's signature style and dramatic face-off segment in the Arena, the video is very much worth watching even if you're not a fan of the Arena or PvP! Follow http://Twitch.tv/Warcraft to be notified when we go live! Head to http://WorldofWarcraft.com/Esports for the latest standings and schedule of the current Arena Season. The Final Season of the 2018 Arena World Championship and first Arena Tournaments of the Battle for Azeroth begin this weekend! Tune in to see how the best players in North America and Europe are adapting to the changes in a new expansion. This is the last opportunity for teams to qualify for the Arena World Championship Finals at BlizzCon. Teams have been competing all year long for AWC Points, but only the top 3 Point earners will be rewarded the coveted spots. As conflict burns in the Battle for Azeroth, the power of the greatest Horde and Alliance heroes ignites. If you think you have what it takes to prove your PvP skills are among the best in the world, signups are now open for the first Cup of the Fall Season of the 2018 Arena World Championship (AWC). The Arena World Championship is a 3v3 tournament that takes place in the iconic battlegrounds of Azeroth. In this Fall Season, we are introducing Mugambala and Hook Point, two asymmetrical arenas which were released in the Battle for Azeroth expansion. 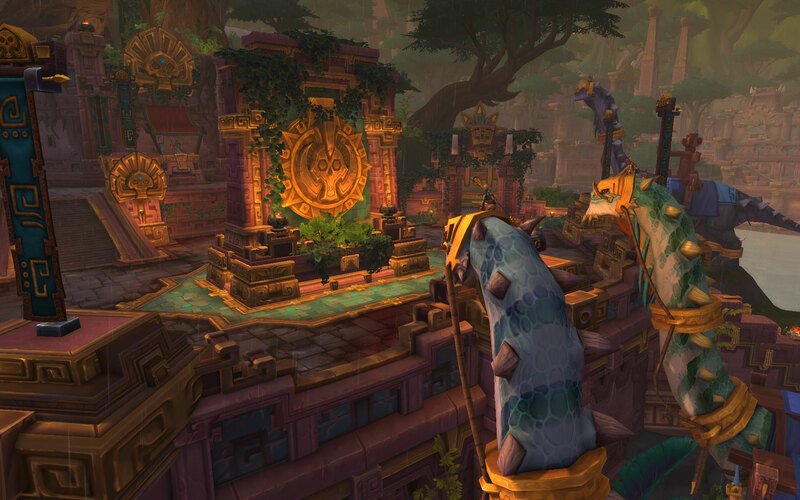 Mugambala is set in Zandalar, a region that was once a part of ancient Kalimdor and the birthplace of troll civilization. This arena features an upper level, and a lower level with a large pillar in the middle. 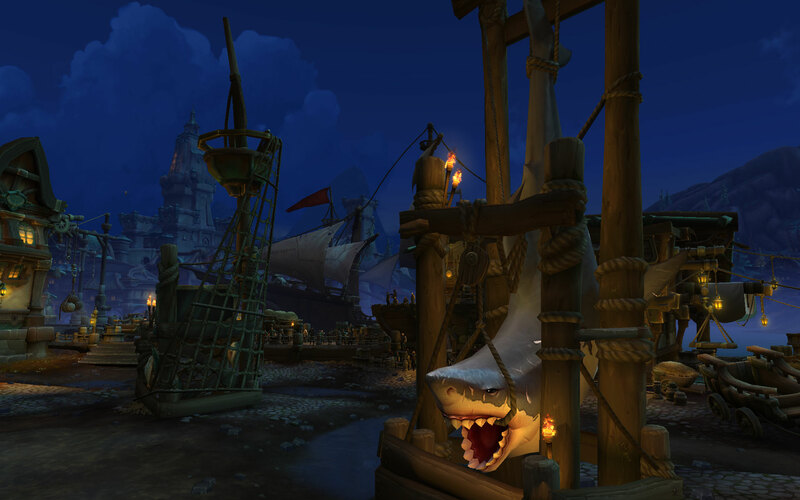 Hook Point is an area in Boralus, where only the bravest battle for the right to call themselves true Kul Tirans! It features four pillars for players to dance around—one with a shark hanging from it—and two smaller pillars. This season, there are six Cups up for grabs—three in North American and three in Europe—each with a prize pool of $10,000 and an increased amount of AWC points on offer, more than any season this year! No Arena ranking is required for teams of three to four people to sign up. Once you are deemed eligible to compete, you will have access to the Tournament Realm, where you and your teammates will have the ability to create whatever class, talent, and gear combinations you see fit, to practice taking down all who oppose you! If you think you have what it takes, sign up here, and check out the table below for the cutoff times for each of the Fall Season Cups. Remember, the top three point-earners of the year from North America and Europe will earn a spot at the Arena World Championship Global Finals at BlizzCon, where they will fight on the biggest WoW esports stage of the year for their share of the $280,000 prize pool. If you’re coming back to World of Warcraft for Battle for Azeroth and want to see how the pros handle the new PvP talent system, join us! The Top 8 from each Cup in North America and Europe will be broadcast live on Twitch. Watch as the greatest heroes from across North America and Europe adapt to the changes—it might give you some tips and tricks for your own Arena adventures! Check out the Warcraft Esports site for current standings, the global broadcast schedule, and the latest news about AWC, and follow @Warcraft for all things Battle for Azeroth!